Catholic leaders need to speak up about campaign and election honesty. America is now two countries — and the Church has been split in two as well. Faithful Catholic Archbishop André-Joseph Léonard, the heroically faithful former archbishop of Mechelen-Brussels, will be the first head of that See in 200 years not to be appointed cardinal. Activist Radio: The Mark Harrington Show » » Is the Gospel the sole answer to abortion-killing? The cause of the death of America will be weak men. “That I yield to the superior force of the United States of America whose Minister Plenipotentiary, His Excellency John L. Stevens, has caused United States troops to be landed at Honolulu and declared that he would support the Provisional Government. The Clintons became pressured to reveal the truth in 1993 through an apology of the United States improper actions to overthrow the Sovereign Kingdom of Hawaii and its Roman Catholic subsidiaries. Acknowledging the 100th anniversary of the January 17, 1893 overthrow of the Kingdom of Hawaii, and to offer an apology to Native Hawaiians on behalf of the United States for the overthrow of the Kingdom of Hawaii. See inset photograph and agreement! The violence in the womb even if one of them were to survive the murder of their sister and/ or brother beside them would have life-long ramifications to physical and mental survival of the surviving baby in the wombThat was how Nuremberg began – the people that put themselves in charge over death decisions in various camps got to choose which one lived and which one dies If we fail this test & do not respond to the calling to challenge our Catholic Church leaders to which they believe their ivory-cast Dicastry towers are immune from they will come soon for the mentally ill that also now have no legal protection under the Democrats Tyranny [Mentally Ill Patients Ordered Hospitalized in California Can Now be Killed in Assisted Suicides | LifeNews.com http://www.lifenews.com/2016/10/18/mentally-ill-patients-ordered-hospitalized-in-california-can-now-be-killed-in-assisted-suicides/ ]- how far will it go ?! Are we headed towards a Communistic State in both our Country and The Church ? 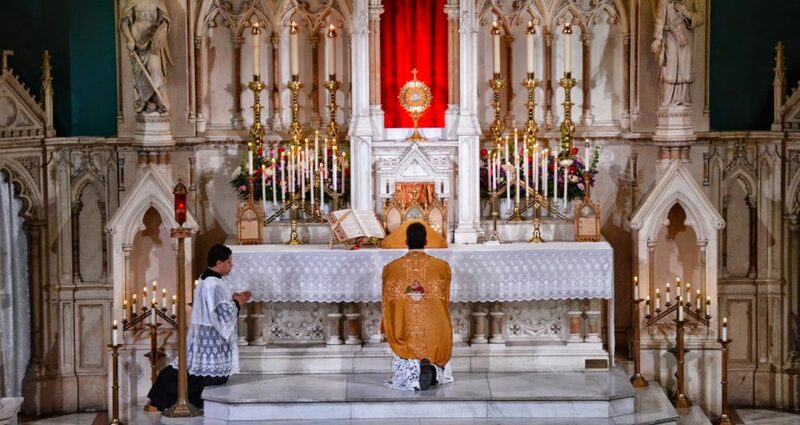 What does Authentic Traditional Catholicism Teach Us On This Subject ? St Jose Sanchez del Rio, a 14-year-old Mexican boy martyred for refusing to renounce his faith during the Cristero War of the 1920s, was depicted holding a palm branch and rosary while a trail of blood and a single bullet were at his feet. St Salomone Leclerq, who was killed after refusing to renounce his faith at the height of the French Revolution, was shown with his eyes fixed toward heaven as an angel carried a palm, symbolising his martyrdom for the faith. The Civil War Within The Catholic Church Goes Public Mainstream – As The Denial Era Begins To End ….